I hadn’t been to Brooklyn Bar in a while, and I was pleasantly surprised to see that their beer selection is better than I remembered. They stay true to their name and feature Brooklyn Lager, alongside a few other nice American crafts: Sam Adams and Blue Moon on tap, three different Goose Island bottles, and the All Day IPA from a new favourite brewery of mine — Founders. There’s also a few decent lagers (Moosehead, Sol, Asahi), and any American who’s looking to take a trip down Memory Lane of the Bad Beers of their Misspent Youth will be happy to see Pabst Blue Ribbon and Miller Genuine Draft. The bar. Be sure to check in the fridge for the best stuff! 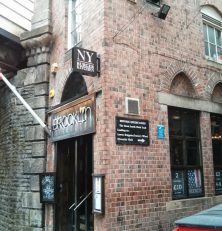 The food, available until 9pm Tuesday to Saturday, is provided by the New York Burger Kitchen upstairs. As the name suggests it’s mostly burgers with a few exceptions like chicken fingers or a rack of ribs. Not the best burgers in Leeds in our opinion, but any place that serves curly fries scores points in my ledger! 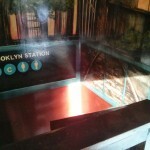 Just take the W or the C train to the toilets. I lived in the actual Brooklyn for three years, and I must say that there’s not much about this place that reminds me of my former home. 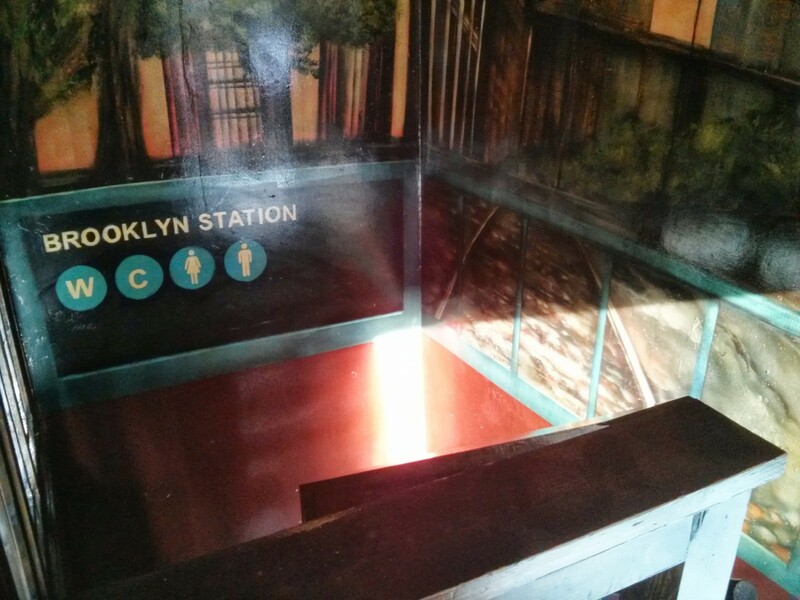 They do cover the walls with New York City scenes and the stairs to the toilets are done up to look like a subway entrance. (Clever!) 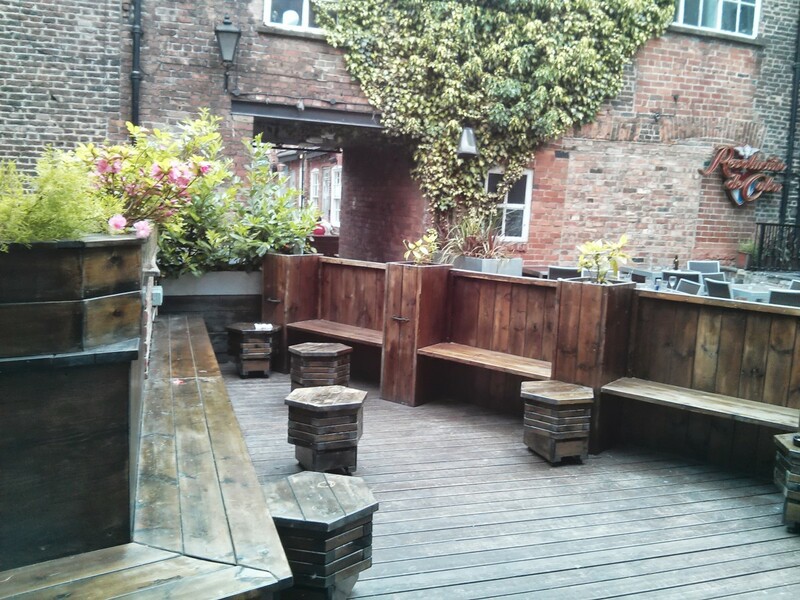 But the atmosphere is pleasant enough, especially when it’s quiet, and there’s a sizable beer garden that’s closed off from the rest of Queens Court. 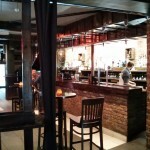 It’s not too pretentious and the bar staff are very friendly. 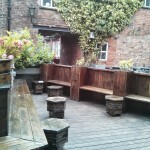 A lovely beer garden. The seats make it feel a bit sauna-like. Like most other Call Lane establishments, they focus their attentions on cocktails. 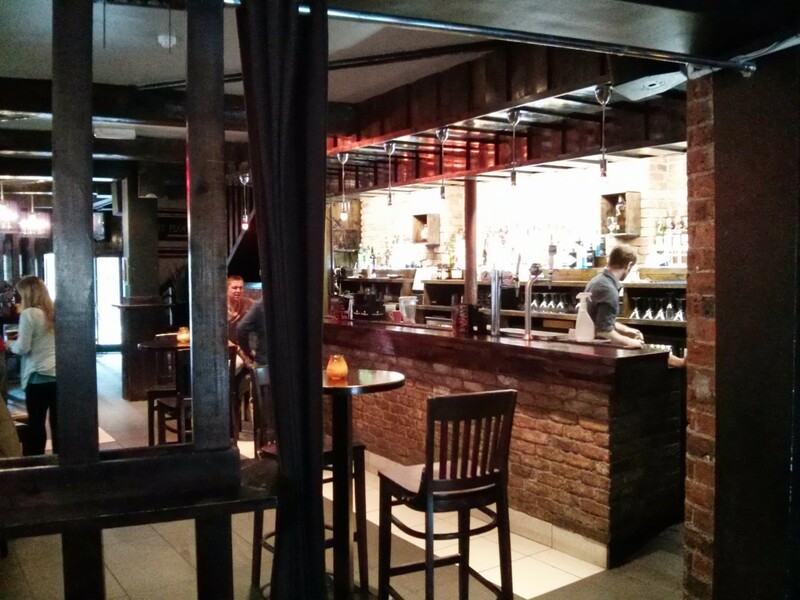 It definitely has better beer than any of its neighbours, but that wouldn’t be tough to do. So while the handful of decent choices wouldn’t draw us from afar, if we were on this block and couldn’t be bothered to walk further, Brooklyn is probably where we would land. 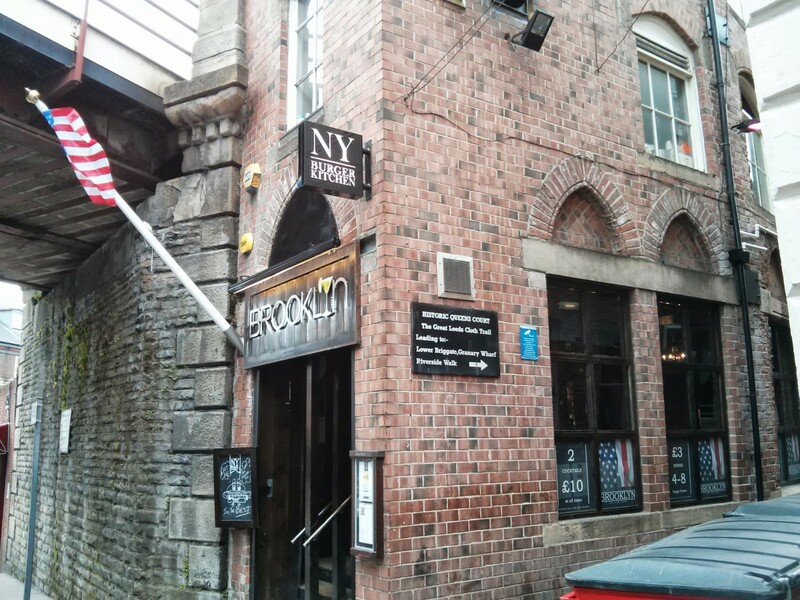 i go to Brooklyn most fridays with work and pleased to see the changes over the last year…its the best you can get in leeds for authentic NY beers and the food is pretty amazing!